You are here: Home / freebies / Vistaprint: FREE Fall Calendar! 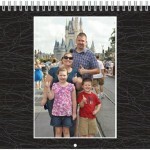 The FREE Vistaprint calendar offer is back! If you’re like me, as the kids start back to school, your schedule is about to get super crazy, so this is perfect timing to help you keep up with school events, sports, and birthday parties! Christmas will be here before you know it and this would be a great gift to make with some of your favorite pictures from the past year! 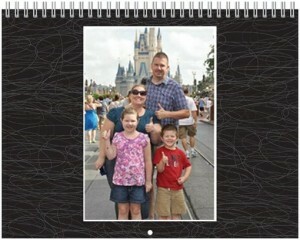 I have also seen people who take pictures of their kids with a theme for each month and give that as a gift! We’ve got lots of great photos from our Disney trip, so I decided to use those! Get yours in as few as 3 days shipped! Shipping and handling fees do apply and are typically about $5.32. This is a limited time offer, so hurry and make yours while you can! Get FREE labels from Vistaprint! 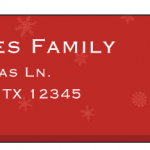 FREEBIE ALERT: 140 FREE address labels from Vistaprint!